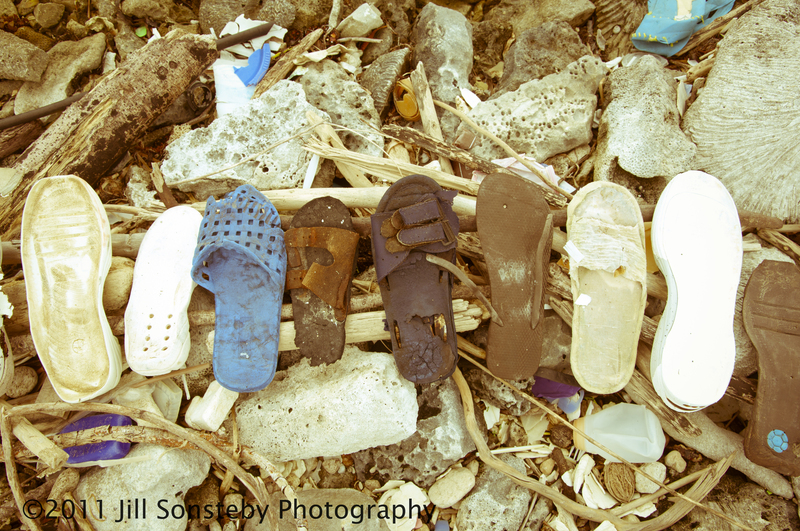 Hey, if you ever want free shoes head on over to the island of Utila, Honduras. You can have your pick of high heels, crocs, tennis shoes, flip-flops, and if you take some time perusing you can even find a dress shoe here and there. The island beaches are at your disposal to find that special shoe. These are a unique class of shoes because they each have that special weathered look. You may need to purchase a new sole or shoe lace, but think of how cheap that will be for the one shoe you find. Oh, did I mention the chances of finding a pair of shoes is near impossible? Well, that is why this shoe shopping spree is so exclusive. Better book your flights before the Christmas rush! That’s a good idea, Marijana! I like to imagine how far these shoes have come and how did they go swimming? Did they get washed off a boat deck, left on the beach, fall off a body, or thrown away? And which continent did they originate from and where is the mate? 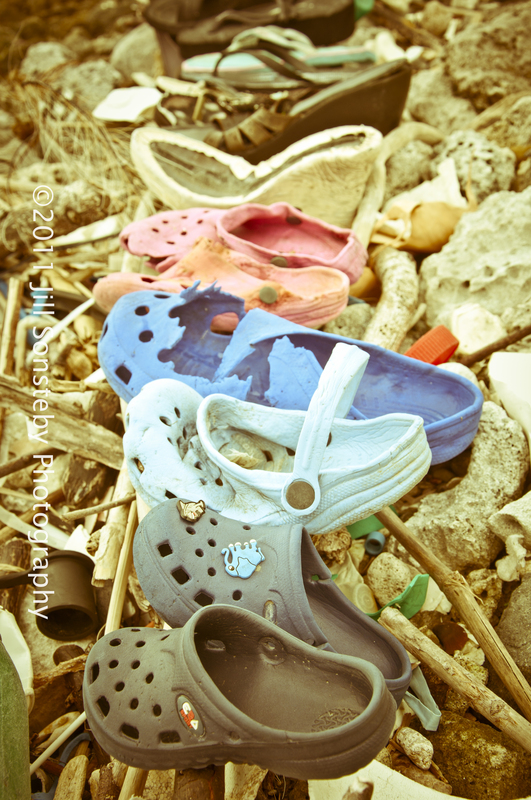 I’m sure each shoe carries it’s own story and the ocean isn’t telling. Brilliant! Stories they would tell, if only they could speak.